This has shook me in words that's hard to put together,so I'll try by saying when it comes to actors, and entertainers, i don't look at them as role models, I look at them as people who given us their talent to show others. Sherman has done that by his acting roles, most notably the Jefferson's, and many others. To me what defines you is the role you play, and the lasting impression it has on others in a way they will never forget. 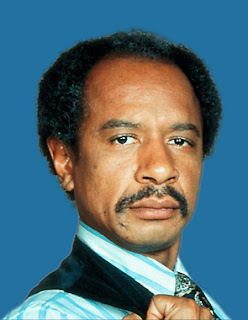 To me Sherman Hemsley is and will forever be one of the best actors of many generations by his God given talents, and his drive to touch lives. He gave me that impression the moment I saw his work on screen. May you rest in peace Sherman, and I can now say you have moved up to a deluxe apartment in the sky.